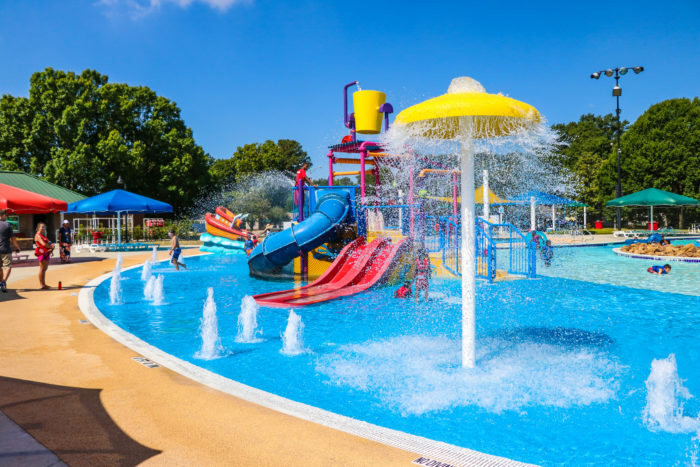 Liberty Lagoon is a great way to cool off and have some fun this summer. 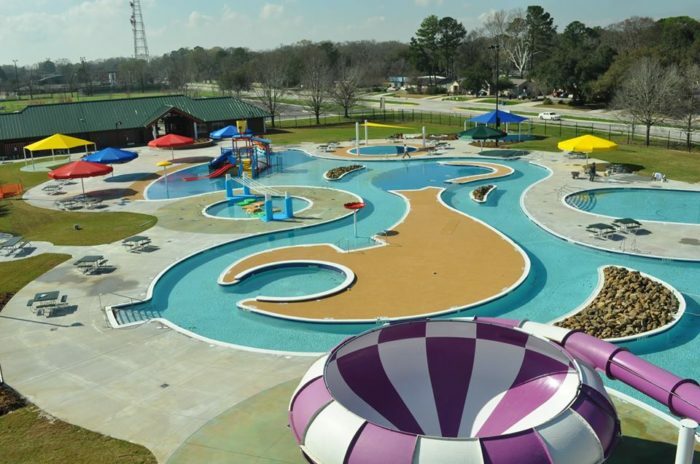 The attractions and events at this Baton Rouge water park are endless. 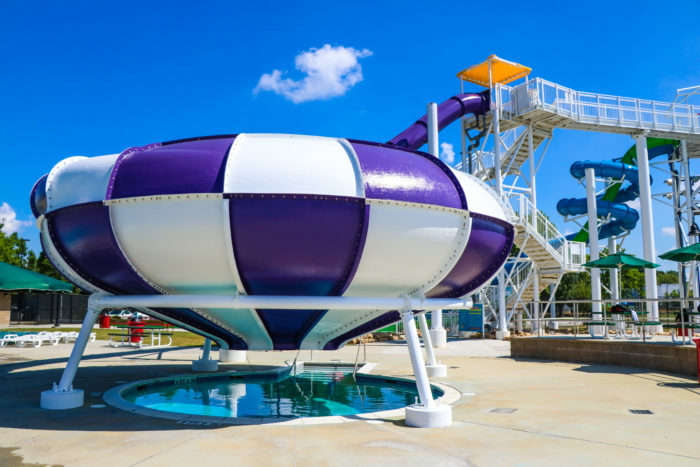 They have several waterslides, so thrill seekers will have a blast here. Each one varies in intensity, from the smallest incline to massive twists and turns. The Gator Bowl is one of their more popular attractions. You’ll plunge down 75 feet into an enclosed tube where the water will spin you in circles before dropping you into the lagoon. If waterslides aren't your thing, don't worry - you can kick back and relax in the lazy river. 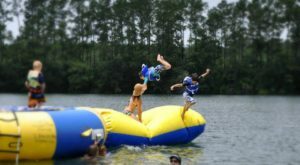 Rent a tube and float around for hours catching some sun! There's also an area for the littlest of swimmers. They'll have a blast running underneath the waterfalls, sliding down the mini slides, and exploring the area. 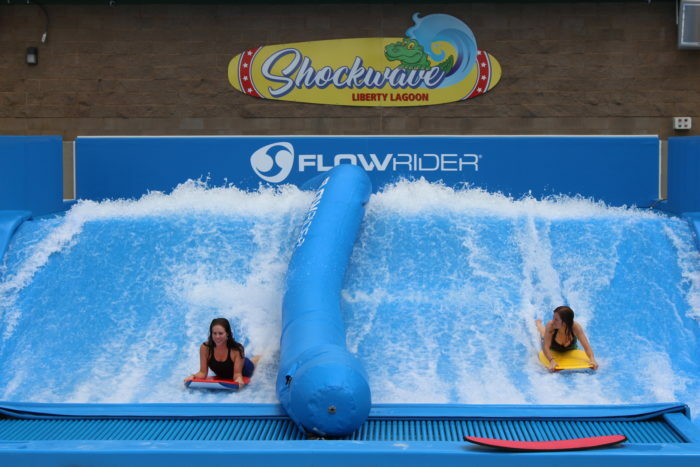 If you've ever wanted to try surfing, then you should check out the Shockwave. After a few sessions, you'll get the hang of it and be attempting tons of fun tricks. 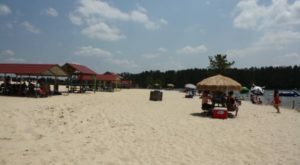 However, Liberty Lagoon is more than just a waterpark. 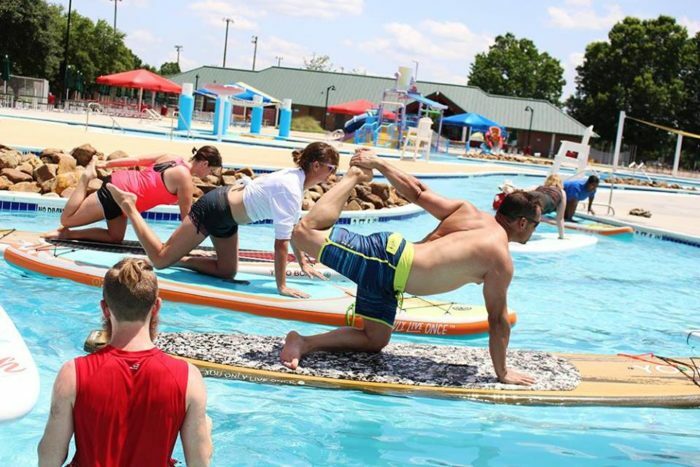 They offer swimming lessons for kids and adults, aqua Zumba, water aerobics, kayak lessons, and paddleboard yoga. For more information on their upcoming classes and how you can sign up, click here. 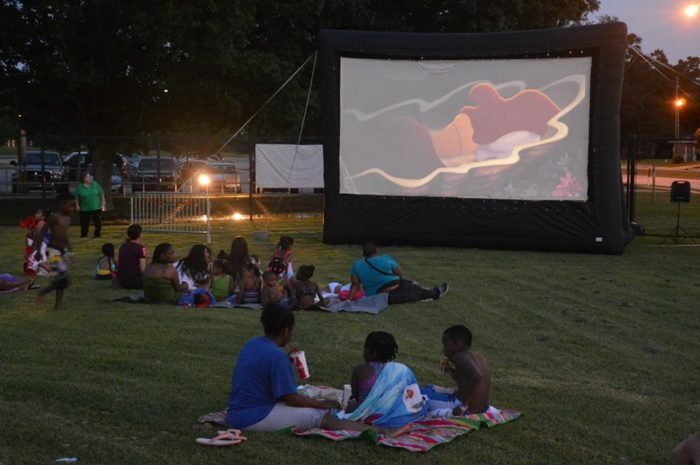 They also host movie nights during the summer. The next movie night is scheduled for July 14, 2018, at 7 p.m. Check the events calendar on their website for other dates and details. At the end of the season, they even invite our four-legged friends for some fun in the park! 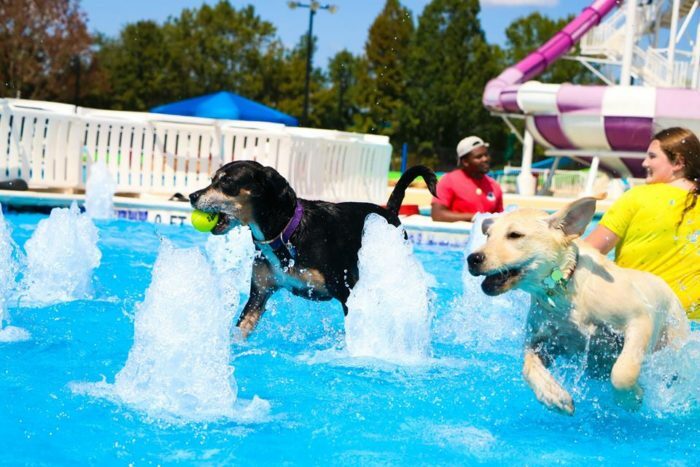 They close out the season by turning the park into a doggie water park. How cool is that? General admission to the park is $10 for those under 48″ tall and $12 for those over 48″ tall. 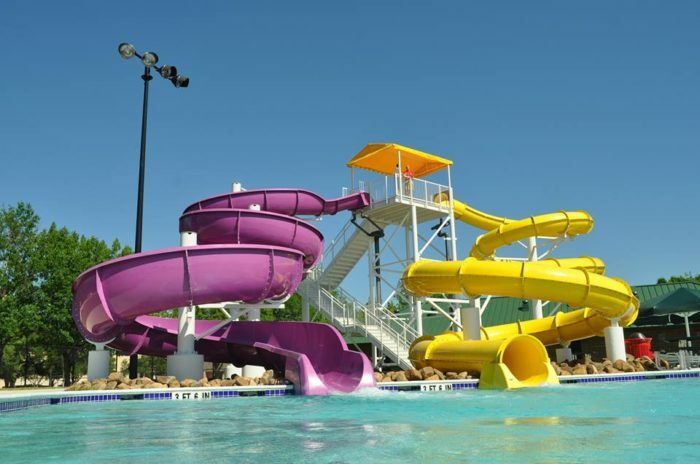 Day use wristbands for the Shockwave are $5 and all-day tube rentals for the lazy river are just $1. 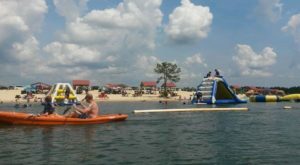 For more information, check out the Liberty Lagoon website here. 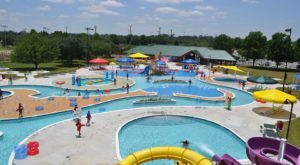 Liberty Lagoon is located at 111 Lobdell Ave, Baton Rouge, LA 70806. 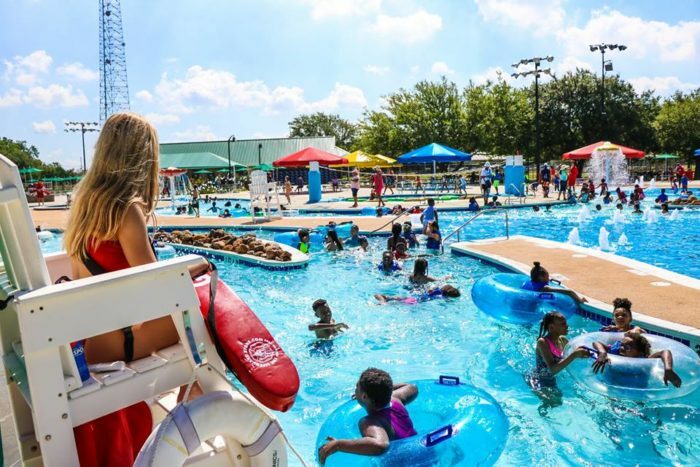 They are open seven days a week through the beginning of August; Monday – Thursday from 11 a.m. to 6:30 p.m., Friday & Saturday from 10 a.m. to 6:30 p.m., and Sunday from noon to 6:30 p.m. In August, the park adjusts to seasonal hours and will be open weekends only through the end of the month. Have you ever been to Liberty Lagoon? Let us know in the comments below!